Wisconsin 4-H Youth Development staff are partnering with schools and other community based organizations to improve the quality and quantity of Afterschool programs. Afterschool program staff and volunteers improve their ability to offer high quality care, education, and developmental experiences for youth. 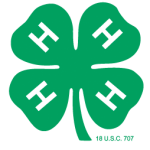 Teens, adult volunteers, and afterschool staff adapt 4-H curriculum and share 4-H project skills with youth involved in 4-H Afterschool programs. Youth, who participate in afterschool activities based on 4-H project curriculum, improve communications, decision-making, teamwork, and other life skills. Active and self sustaining 4-H Afterschool Clubs improve the quality and community support for afterschool programs.